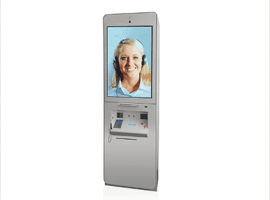 Our self-service „allrounder“ custom 19 is a self-service ekiosk specially designed for transactions of all kinds, which leaves nothing to be desired – not even with regard to your personal design & function layout – which we adapt perfectly to your requirements. 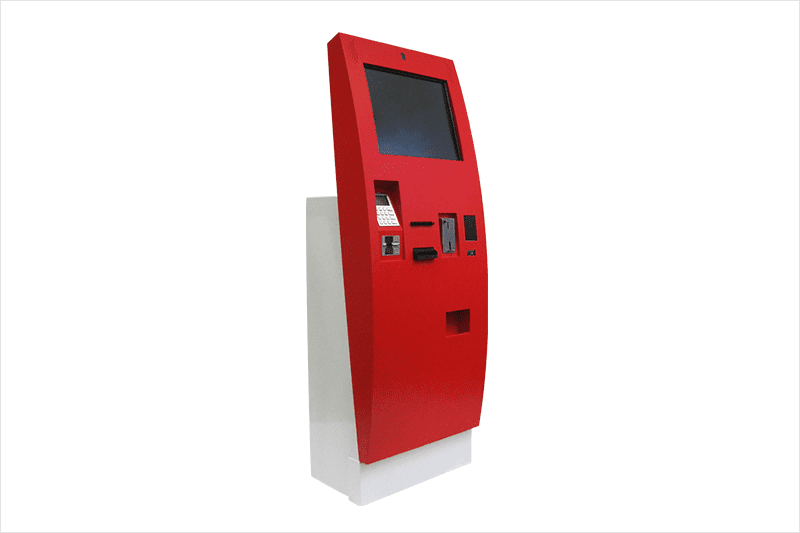 Never before have ekiosk systems been able to make real cash or credit card transactions so compact: your customer comes, chooses his desired product or the service of his choice, corrects or confirms his input – and pays for the transaction within a few transactional hours. He will immediately receive a receipt and / or a pick-up number. No more tedious waiting times for your customers and more sales for you – without additional salespersons. Whether your customer wants to pay electronically with a credit card or „NFC-Payment“ or with cash – ie with coins and bank notes – the friendlyway custom 19 accepts all usual means of payment and even returns the money to the user. In some countries where the custom 19 is successfully used, the custom 19 also accepts such payment methods simply, smoothly and reliably. With the help of illuminated advertising surfaces (digital signage), individual gluing or colored lacquering, the design can be easily adapted to the corporate design of your company. Each unit is manufactured and equipped according to your wishes. The extensive selection of options makes it possible to expand the functions of the terminal exactly according to your requirements. Especially popular are the multi-touchscreen, barcode reader, the 80 mm receipt printer, the high-resolution webcam and the extensive payment options. 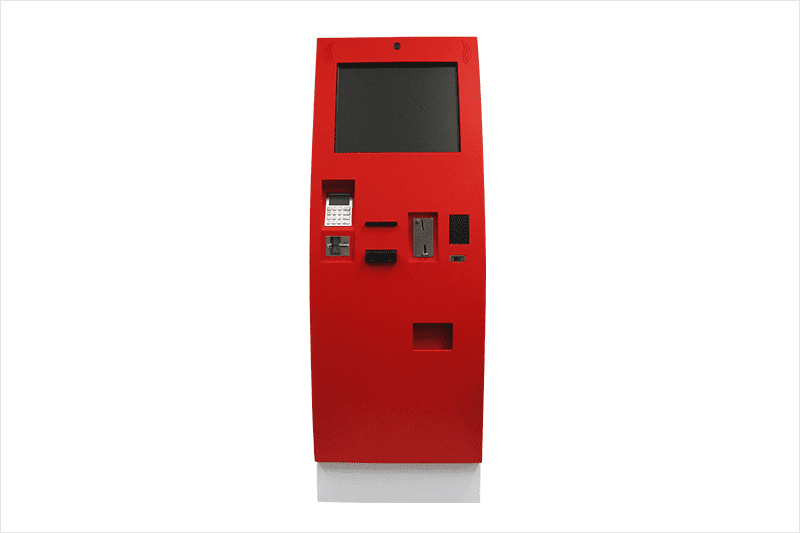 This makes the friendlyway custom 19 a transaction system exactly tailored to your needs, an ekiosk that meets all modern requirements and completes every self-service ambience through design and function. Information about product and service selection. Immediate ordering and payment. Limited sales promotions. New customer acquisition. Active and passive product presentation with intuitive user interaction.